VOLUNTEERS at Christchurch Pre-School in Hanham are making strides in creating a new-look garden. Dads, granddads, staff and committee members all dug in to create a complete makeover to the floor area of the existing garden. 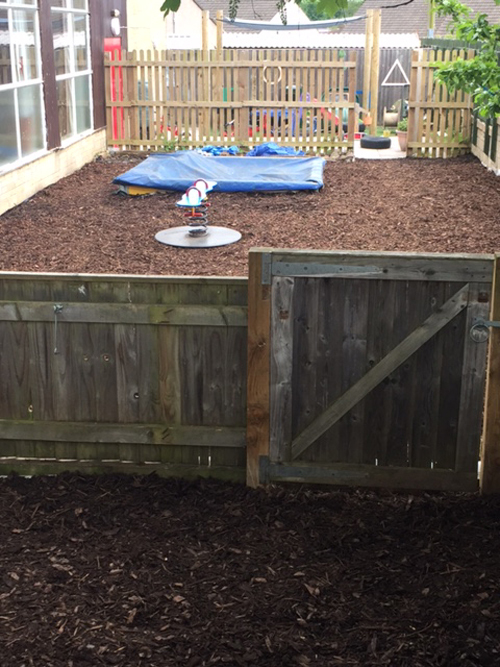 They were given guidance and support by experts at Hanham Gardening Company who helped dig, wheelbarrow, flatten and re-lay bark until the new-look garden floor was revealed. The next part of the makeover is scheduled for June 2-3 and includes building a base for a new shed and stage area for the children, a cover for a sandpit and beginning a mini allotment area. Kind donations include compost and plants from Goldings in Hanham and a small greenhouse thanks to the committee's treasurer.